It’s no secret that we’re big fans of the Museum of London, so we’re delighted to be able to offer you — dear Londonist readers — two tickets to their upcoming Late for the price of one. Held in the beautiful Museum of London Docklands, their Late London: Sonic City event on 5 September will reveal a new sonic art installation by international artist Scanner (AKA Robin Rimbaud). Scanner has previously collaborated with Bryan Ferry, Wayne MacGregor and Steve McQueen, and now he is taking on London’s bridges in an immersive sound installation commissioned by the museum in partnership with Sound and Music. Called Bridging the World, the installation forms part of the museum’s current Bridge exhibition, and features a series of hanging speakers within the museum. Each speaker broadcasts recordings collected from people in London and around the world, merging personal stories and responses to bridges across the globe. 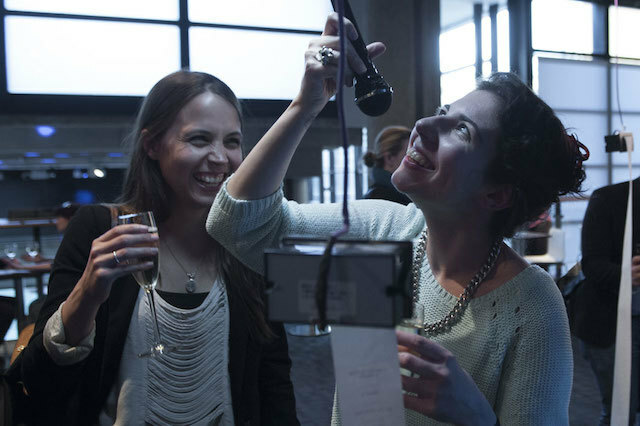 This audio element adds an entirely new dimension to the exhibition and after visitors to the late have enjoyed it, there’s a good old-fashioned party for them to get stuck into (and Museum of London Docklands knows how to throw a party). Other highlights of the evening include a sound-walk on the quayside, the chance to test-drive a new technology that allows you to feel the sound you hear, a live experience exploring how sound affects your taste and, of course, a late night bar. To take advantage of this offer, order your tickets from Museum of London website and enter the promotion code LONDONIST241 when prompted. We’ll be there too, hosting our very own sonic activity, so come find us! Offer expires 5 September 2014. Maximum tickets 10. Online booking only. Offer subject to availability. See you there! Late London: Sonic City takes place at the Museum of London Docklands, No. 1 Warehouse, East India Quay, E14 4AL on Friday 5 September, 7-10pm. Tickets are £8.